The other evening I went out with about 40 other London bloggers courtesy of the Cumberland Hotel. Located literally a stone’s throw from Marble Arch this stylish hotel was reportedly the last hotel that Jimmy Hendrix ever stayed in, and they even have a room named after him, but we weren’t there for that. They also have a Patrón Bar which specialises in a large range of tequila based cocktails, but we weren’t there for that either. We were all there for dinner. We had canapés and bubbles to start and then a 4 course meal, introduced by chef Darrel Wilde. Dinner featured some of head chef Paul Welburn's signature dishes. 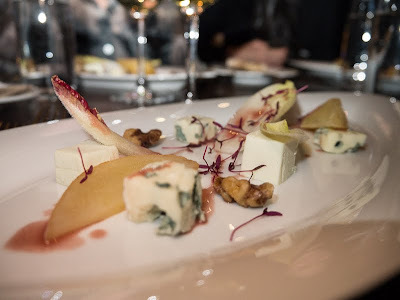 Mostly seasonal European takes on traditional British cuisine like pear, roquefort and chicory salad with candied walnuts and a port and walnut dressing which was a lovely dish that exhibited all the care and attention that had gone into it. We finished up with a very nice desert called “Bramble plate” and followed that with petit fours and coffee. Then we got to look into the kitchen. The fun didn’t even end there – we were all then given goodie bags (just like the celebrities get) to take home. So that’s my friend’s birthday present sorted!! The Cumberland hotel is a welcome, serene and very comfortable getaway from the madness of Oxford St at any time of day or night. Drop in some time. Take a look at their Valentine's Day menu. This looks and sounds like a fantastic experience. that dessert looks so good! Sounds like my kind of place! Aren't you the lucky one! It looks (and sounds) like a real treat. Do they have a room named after me? I stayed there twice. 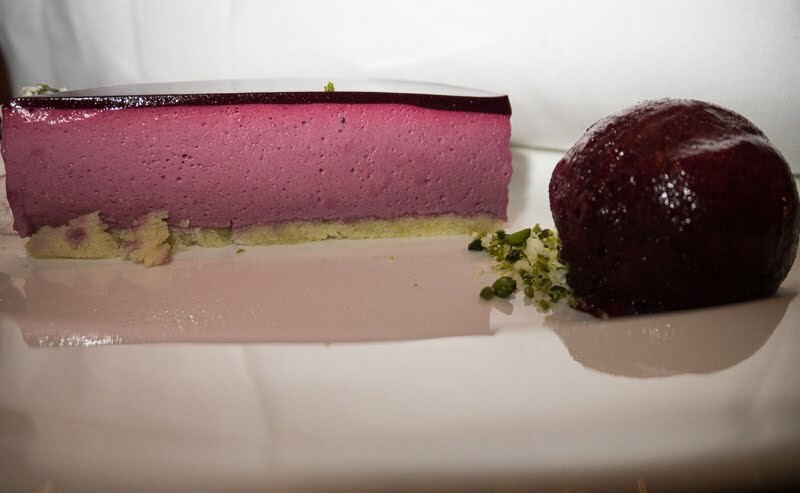 The unusual combinations of textures and flavours chosen by the chef were amazing.